This was one time Apple's probably glad the Surface wasn't mistakenly called the iPad. 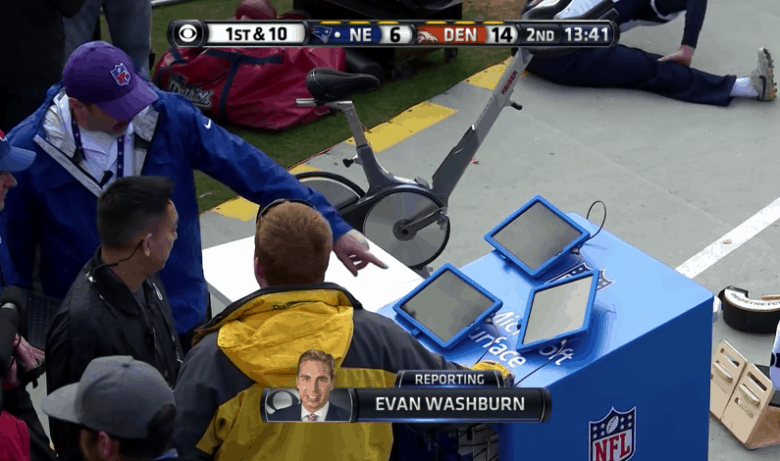 After making the mistake of repeatedly referring to the Microsoft Surface as an iPad, announcers finally got the right name for the NFL’s sponsor tablet… only for this to be the occasion on which the device stopped working on live TV. The incident took place during Sunday’s AFC Championship game between the Denver Broncos and New England Patriots, resulting in the kind of negative publicity Microsoft surely never dreamed its $400 million sponsorship would lead to. Microsoft quickly sprung into action to blame the breakdown on a network connectivity issue rather than, well, you know. Whatever happens with Apple’s reported iPad sales figures this week, at least their devices didn’t just get lambasted on television in front of one of their main target demographics.